Tweets containing pictures, videos and quotes of other tweets will no longer count towards the 140-character limit, the social media platform has announced. Twitter announced the changes yesterday evening in a further step towards making its micro-blogging service less stringent. 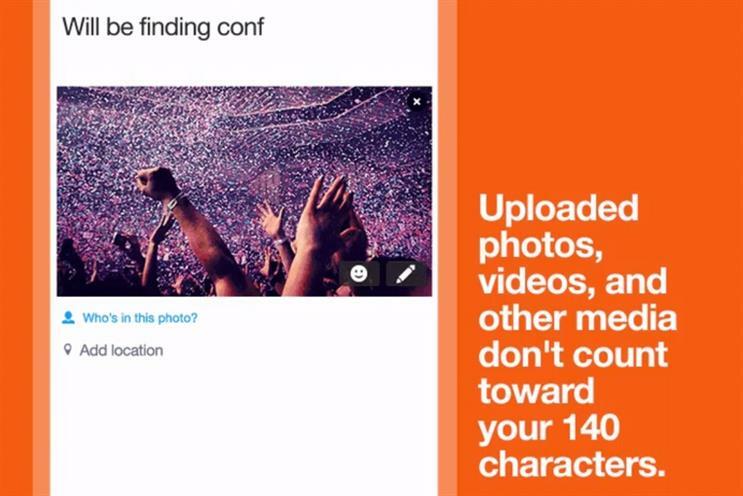 Now that these media attachments will not count towards the character count, users can send longer tweets. The change was announced by Twitter in May, but an execution date had not been set. A Twitter spokesman also announced yesterday that the company is testing out the upcoming changes to replies, which means that @names will no longer count towards the character count either. Since Twitter was founded in 2006, it has always restricted users to sending tweets of no more than 140 characters. Last year it significantly loosened the character limit from direct messages to 10,000.